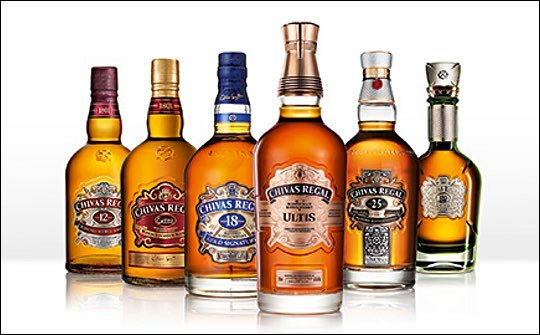 Can you give a little background information about yourself and your role with Chivas and Pernod-Ricard? I have been with Pernod-Ricard for 15 years. I started off in Ireland as brand director at Jameson for a while. I was marketing director in Japan for four years and then I came back three years ago to be global brand director at Chivas. Now, I look after, basically, all the marketing, advertising, communications and the commercial strategy as well. How important is travel retail to the brand. How does it compare with domestic sales? Is it more important? It is one of Pernod Ricard's most important channels when you add together all the global travel retail units from around the world. If you actually add them all up together it is the number one market in the world or Chivas. Which markets globally are the strongest and where do you feel there is greater opportunity? Our biggest opportunity market at the moment is India. India is one of our fastest growing markets, where we have grown hugely over a number of years. I think we are now the number one super premium whisky within the market place which is great news for us, and given the Indians love of whisky we are just expecting that market to get bigger and bigger, so that’s a fantastic opportunity for us. We are also very big in Turkey, which as a market has been a massive success story for us over the last years as well. The brand is developing well in Africa at the moment, particularly in South Africa and Nigeria. That’s a big emerging market place. As is the Americas. The US is obviously very, very important to us. It has always been a key market for us, particularly among the Hispanic. It’s where the brand originally started in 1909. It’s always been an iconic brand in the US; the offices used to be on Madison Avenue, so it was very much an ad-man drink, now it’s growing very quickly amongst the Hispanic community, which is the fastest developing ethnic group in the US, and that leads us into doing well in South America - Mexico, Brazil, Columbia, as well. Japan is doing very well for us at the moment too…and Australia’s been flying. Over the last couple of years Australia has been one of our fastest growing markets. There’s a lot of talk about experiential marketing and millennials, the new digital savvy generation that are looking for brand experiences they can share. How do you target those people? Sometimes people think millennials are 22 or 23 year-olds but they are also 32 and 33 year-olds. The very digital savvy require a brand to have really strong social presence, with the likes of Instagram and very innovational postings. Brand experience has also become more and more important. One of the things that we have created this year is the Chivas Taste Discovery in travel retail and that involves a virtual reality mask that you wear. This makes you feel as though you are flying over Scotland, over the water and the Glens, then you land in the distillery and Colin greets you. He brings you in, talks to you about the whiskies and you can turn around and look at the different whiskies. You can select the one you want and he will talk to you in more detail. But again, that’s the type of thing we need to do more of, because for this generation it’s very, very important. The other thing that’s important to them is corporate responsibility; this idea of giving back, so we do a thing called The Venture. With The Venture we give out £1 million in funding to social entrepreneurs around the world to start their businesses. We have 31 countries involved this year. Because the brand stands for shared success it is important that, as a successful brand, we give some of that back as well. We have targeted digital activation though a tie-up with LSTN, producing headphones. They are made out of whisky wood, which is cool. On our website if visitors listen to a clip of somebody hearing for the first time, we give money into the Starkey Foundation that helps people hear around the world and is involved in the same markets that we are. I think digital is super important, and bringing corporate responsibility to the millennials. Those two things, if you are not in those areas, you are going to struggle with them. How about environmental awareness, being kind to the world through your production and packaging? Is that something you believe customers are honestly interested? I think they are. I think they want to make sure that you are trying to do the right thing by the environment, that you are following industry standards. Consumers want beautiful things, they want attractive bottles and attractive packaging but they want to know that you are trying to do it in the best way that you can. I think there is always a trade off between the two but I think, generally, we have got that right in terms of what the production boys are doing up in Scotland. Whisky, by its nature, is a sustainable product. We have a lovely partnership in Mexico. There is a glass factory in Mexico and we work with a local design studio. Some of the surplus glass that comes from making our Chivas glassware goes to the design studio and they are able to make that into goods they then sell. In the past it would have gone to waste. We have had a programme for the last two years providing jobs for people in some of the poorest areas of Mexico, which again, is investing back into the community. Keeping on packaging, how important is the look, exclusives etc? You have always put a lot into the quality of Chivas labels and cartons, the printing and finishing. It’s critical. Consumers are always looking for differentiation, they want something different, something that creates an emotion in them when they pick it up and feel it. That’s the reason we spend so much time on creating packaging that often comes with a tactile feel. If you open it up you have the bottle presented in a very beautiful way, it adds to the consumer experience and the surprise. Consumers are looking for a visual treat. I think that is something perfumes have always been very, very good at. On top of our fantastic liquid we put an awful lot of effort in to the presentation so that the consumers feel that the packaging lives up to the liquid inside. Which is hard, as Sandy normally does such a good job! We are always trying new processes, and new types of embossing, which haven't been done before, to try and get consumers to touch and to feel it and believe in the power of design. 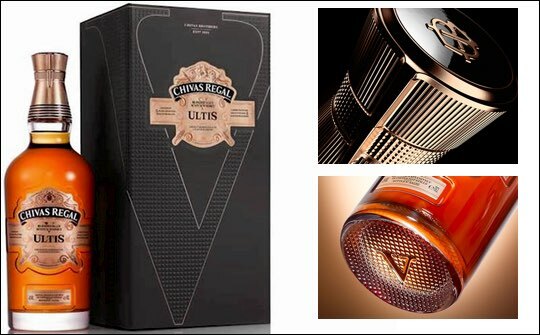 For our new Chivas Ultis, it’s a soft touch. It’s got the embossing, but we spend a lot of time on the detail, for example, we have put in the Roman number V for the five master distillers into the bottle base, and five rings on the neck to symbolise the same. It’s these little details that consumers react to. You open up anything and you want a little surprise, particularly when it’s US$200 a bottle. You expect a high level of packaging with some theatre to it. Are there plans to further develop this? We are just launching at the moment, so it's early days. Like everything, you look at different things, potentially limited-editions and things like that but at the moment we are very much focused on getting it out there. The first stage is getting to the market and getting consumers to taste the product and to experience it.We are doing a major launch in travel-retail, particularly in Asia and a massive launch in Hong Kong Airport. We are going to own the airport for a couple of months there, which is great, because for the Asian market, the high-end whiskies are extremely important. Again, they put a lot of emphasis on the packaging and the way things look, they are very into the detail and the energy you put into it. Where are you pitching Ultis? Up against the Johnny Walker Blue? We are pitching it within the prestige sector and Johnny Walker is one of the key competitors in that market. I wouldn’t say it’s only that specific whisky because consumers also buy luxury products other than whisky and they can look at other brands in the category. So this comes between the 18 and the 25…?